The world's most advanced logbook. iCloud Sync is here! Now you can sync all of your Mac and iOS devices via iCloud, seamlessly and automatically! Each copy of LogTen functions as a full backup of your logbook so you can add, edit and remove flights on any device and it syncs automatically. 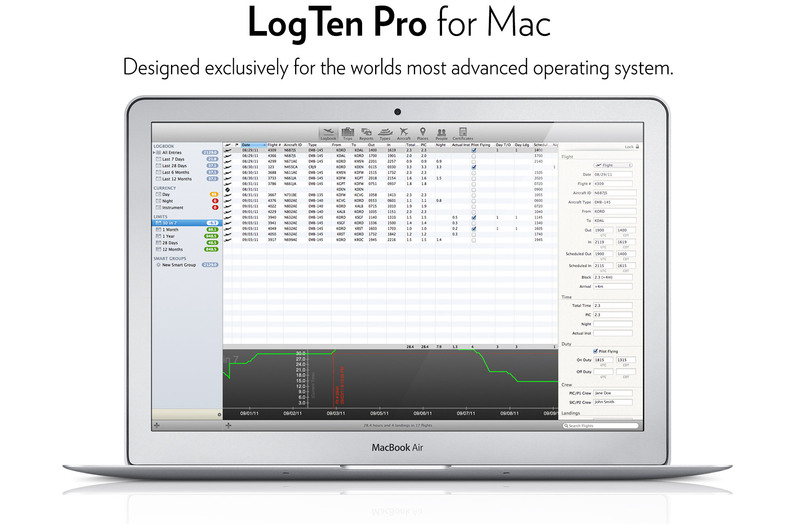 LogTen Pro for mac sold separately. All devices must be on the same major version of LogTen Pro to support syncing. Use the link below for your purchase and help support this website. Designed exclusively for the world's most advanced operating system. LogTen Pro features iCloud syncing that enables you to sync between LogTen Pro on Mac, iPad and iPhone so you can have LogTen Pro on all your devices. Each copy functions as a full backup of your logbook, and you can add, edit and remove flights on any device and it syncs automatically. 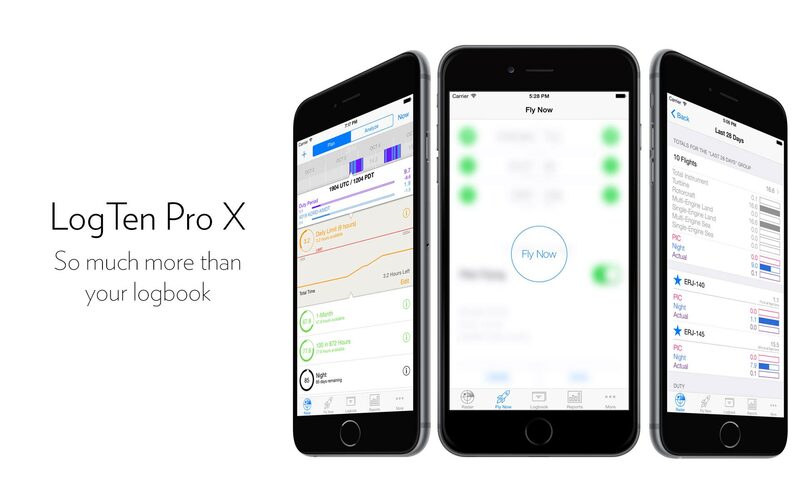 LogTen Pro X for for iPhone and iPad sold separately. All devices must be on the same major version of LogTen Pro to support syncing. Use the link below for your purchase help support this website.